Dell launches the most complete support offer for consumers…our family. A few years back, a famous country singer songwriter released a song about her childhood home. It’s about finding yourself by going back to your roots, back to the comfort and familiarity of family memories. That seems a fitting theme for what I’m about to share. Yes, Dell has been in the news a lot lately. Our remit and reputation have evolved to a multinational information technology corporation enabling the largest companies in the world. But, we have not, nor will we ever forget where we came from—our roots as a PC provider run deep. And it doesn’t look like PCs are going away any time soon. Industry pundits are reporting an upward trend in the market. But what’s important is not that PCs are still popular. . .what’s important is keeping up with friends and family online, video conferencing with your new grandchild, organizing your vacation and, yes, dachshund photos, or helping your son with his first small business venture. What’s important is getting started with your new computer in as little time and with as little headache as possible. Wouldn’t it be great to have your own service-genie to help with your data backups, parental controls, and wireless networking? And once you and the family are rolling with that new PC…you need it to work when you turn it on. When you store valuable photos and videos, you need them to be there. Of course, the ideal would be to have no issues with your PCs ever, but if there is an issue, the next best thing would be to have an automated solution identify it and notify support along with a technical expert available to quickly help when needed, until it’s resolved. This is precisely why we’ve launched Premium Support Plus for Inspiron, XPS and Alienware PCs. 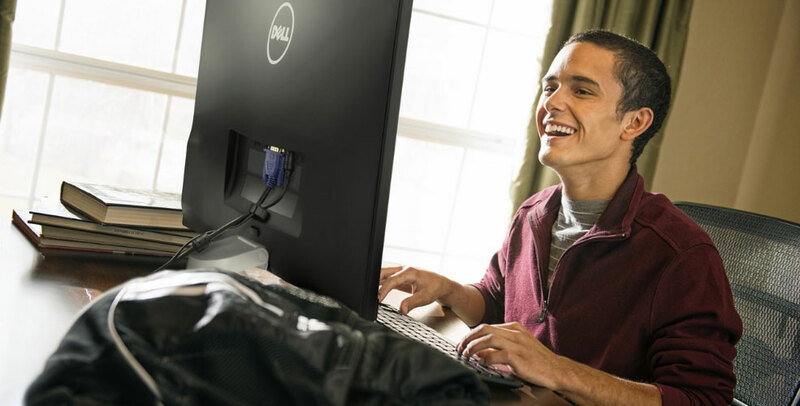 Premium Support Plus is Dell’s ultimate consumer service—from the moment your new PC arrives we are your service-genies. We’ll help you enjoy your new device, help you get set up, help you protect your PC and your family. The entire support experience is as automated as possible with our exclusive technology, SupportAssist which predicts upcoming issues, removes viruses, and optimizes PC settings automatically. If there is an issue, a support case is instantly created and sent to the Dell support experts. If needed, replacement parts are ordered and shipped for your PC without you ever making a phone call. If the issue requires hands-on service, you’ll get a call or email from Dell to schedule your genie’s visit. Let’s talk viruses and malware—those nasty programs that can damage your precious data or impede system performance. There’s great news here. SupportAssist will schedule regular checks to not only detect those critters, but also remove them for you. BTW, this support goes with you even if you travel internationally. And—get this, parents and otherwise fellow clumsy ones—accidents due to electrical surges, drops, or spills are covered too. You see, we designed Premium Support Plus to be the easiest, most comprehensive service available, all delivered through innovative technology, for a truly ultimate PC support experience. You are the house that built us. We are dedicated to you and your family because you’re our family too. In the market for a new PC? 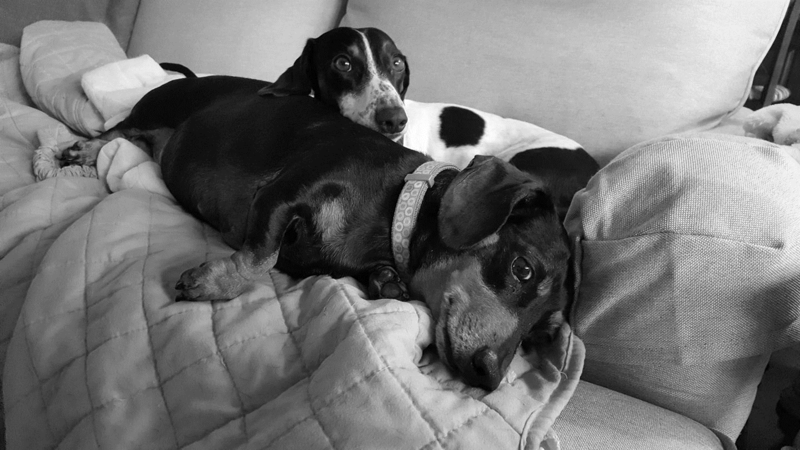 Look for Premium Support Plus on www.dell.com, grab the service card at one of our retail partners, or ask when you are on the phone with one of our great sales reps.
Now, if I could just get a service-genie to train my dachshunds Doodle and Lily to stay off the sofa! SupportAssist is not available on Ubuntu, Steam, Windows R, Windows 10S, Linux, Android or Chrome products. Predictive analysis failure detection is limited to hard drives, solid state drives and batteries. Based on internal analysis April 2017.